EACH SUMMER WE BRING OVER 100 COLLEGE STUDENTS TO SERVE AT OUR 2 SUMMER CAMPS IN CONNECTICUT. IF YOU’RE LOOKING FOR THE OPPORTUNITY TO MODEL CHRIST IN ALL YOU DO, INVEST IN KIDS AT EVERY MOMENT, AND WALK ALONGSIDE CAMPERS ON THEIR FAITH JOURNEY, WE ENCOURAGE YOU TO APPLY! We know there are many things you could do with your summer….internships, jobs, summer school, etc. We understand. However, time is short and the world is fleeing, so at Camp Hope, we believe that there is no better way to spend your summer than investing in things that are eternally significant. At Camp Hope, you will be stretched and challenged in new ways. You will grow in your relationship with others as you live in community with other like-minded summer staff and form friendships that last a lifetime. You will learn more about yourself as you serve kids and families for God’s glory. You will learn how to do ministry with others as you are invested into God’s Word. Most importantly, you will grow in your relationship with the Lord as you experience a love here that is supernatural. Your eyes and heart will be opened to His goodness, His faithfulness, and His glory here at Camp Hope! Our staff come from many different schools and different backgrounds. However, there are several qualities that you will find at the core of all our staff. 1. Love for the Lord – Our staff love Jesus and is dependent on Him every day. Above all else, our staff desires to put Jesus first and live for Him in both action and deed. Our staff reflects the love of Christ and His name is made glorious through our lives. 2. Love for Kids -We are in the kid business. 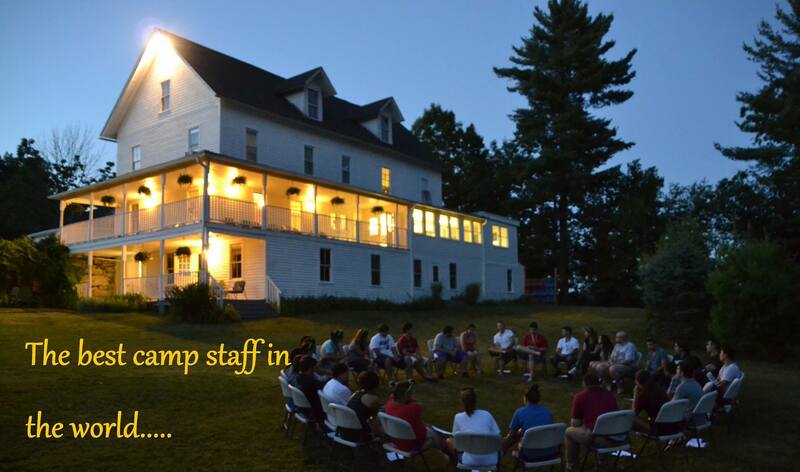 Our staff have a heart for reaching kids and building lasting relationships through adventures in summer camping. We desire to love, protect, serve, encourage, and challenge each kid who walks through the camp gates. 3. Love for Activities and Sports – At camp, we love to coach, teach, and encourage kids and families in outdoor activities and sports. You don’t have to be an athlete to work at camp, but you must love to be active! 4. Love for Excitement – Camp Hope is a crazy place! Camp is filled with non-stop action and adventure. Whether it’s dressing up for a wild theme party or riding down a huge zipline, our staff is fired up and going nuts every minute! The excitement never ends at Camp Hope. 5. Love for Team – Our staff is a team united under one mission. Our staff is selfless, never seeking personal gain or attention. We desire to serve and encourage one another in all that we do and say. We are all in this together and want the name of Christ to be made famous above all else.